Psssstttt - SOUP wants to let you in on a pretty cool little secret that can take you take you or your intended target by surprise. We’ll arrive surreptitiously, and play a song. If you’re there, you can join in the song, then we’ll vanish. Our SOUP flashmob is available for hire for your wedding proposal, anniversary party or other special event. Email us your request! 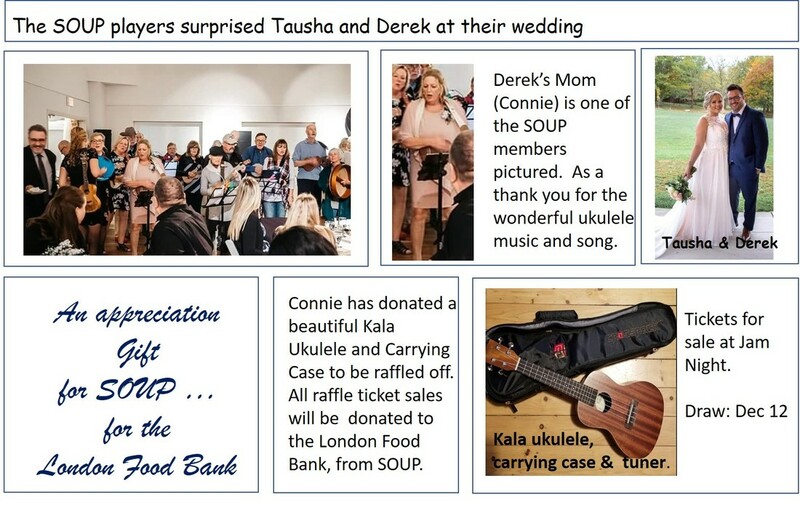 ​Want to join our SOUP ukulele flash mob? To be part of our ukulele flash mob team, just let us know with an email and we'll train you. We take simple songs and memorize them so we can spread the joy of spontaneous music in random places. Sign up at the Wednesday evening jam session.